Ewam Choden is very pleased to welcome back Khenpo Migmar Tseten to the Center. During his last visit, he taught on the Heart Sutra and on the Four Noble Truths. His teachings, in fluent English, are always clear and compassionate, combining straightforwardness for a beginner with depth for the more advanced student and practitioner. He kindly explains comprehensively and answers questions patiently. Everyone is welcome. REQUESTED donation: $30. Dana (offering) to the Lama is separate. LAMA MIGMAR’S SUBJECT for this teaching is the differences between Sutrayana (mdo’i-theg-pa) and Tantrayana or Vajrayana (rgyüd-kyi-theg-pa, rdo rje theg pa). Specifically, the topic is How four philosophical schools of Vaibhashika, Sautrantika, Chitamatrin and Madhyamika are relevant to the understanding and practice of four classes of Kriya, Charya, Yoga and Anutarayoga of Tantra. Lama Migmar has been serving at Harvard University as a Buddhist Chaplain since 1997. Born in Tibet, he received both a traditional and a contemporary education in India. He graduated with an Acharya degree in 1979 from Tibetan Institute of Sanskrit University, Varanasi, India, with the first position among four schools of Tibetan Buddhism. He was awarded a medal for academic excellence by His Holiness The Dalai Lama. Lama Migmar served as the head of Sakya Center in Rajpur, India, and the Sakya Monastery in Puruwalla, India, from 1981 to 1989, taking care of the well-being of several hundred monastic residents. During this time he reintroduced the original form of the geshe educational system of Tibet, with degrees from kazhipa up to the rabjampa degree, with a curriculum that included all of the eighteen major texts, which are known as the Dragchen Chogyed. Additionally, Lama Migmar supervised the editing and publication of over 50 rare volumes of Sakya literature including the 31 volumes of Sakya Lamdre and the rare Golden Manuscripts of the Five Founding Masters of Sakya. 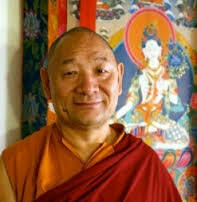 He founded Sakya Institute for Buddhist Studies in Cambridge, MA, USA in 1990. He was recognized as Khenpo for his scholarship and service to the Dharma by His Holiness Sakya Trizin. Lama Migmar leads retreats at Buddhist centers throughout North America and Europe. He is the author, editor and translator in a series of four Vision books and of the Treasures of the Sakya Lineage. He has also written explanatory commentaries on the Four Noble Truths and the Noble Eightfold Path and on the Heart Sutra. These books are available for purchase on Amazon. He generously shares his teachings in podcasts and videos through the website, http://mangalamstudio.com/ His other website for his Buddhist center, Sakya Institute for Buddhist Studies, is sakya.net. Introduction to the Uttaratantra or Sublime Continuum: Maitreya’s treatise on Buddha-nature led by John Whitney Pettit, scholar and practitioner. Six (or seven) classes on Thursday evenings, 7 to 9 pm. The start date is April 7. . Course materials will include excerpts of Dzongsar Khyentse Rinpoche’s commentary on the Uttaratantra, and Pettit’s outline of the Uttaratantra, excerpted and translated from the Uttaratanttra commentary of Rongton Sheja Kunrig. Requested donation to EC of $25 ($100 for all six) per class. Open to all. 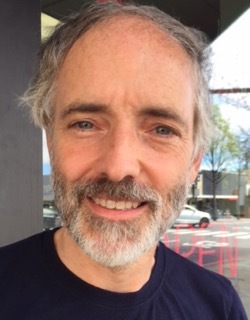 John Whitney Pettit has been a student of many Tibetan and other Buddhist teachers, especially the first Dilgo Khyentse Rinpoche. He holds advanced degrees in religion and Buddhist Studies from Harvard and Columbia University, and is the author of Mipham’s Beacon of Certainty (Wisdom, 1999). Since 2005, he has researched and translated Tibetan commentaries on the topic of Buddha-nature, which are the subject of a forthcoming volume to be published by the Institute of Tibetan Classics. He is currently in residence at Ewam Choden. Founded in 1983 by Lama Kunga Rinpoche and Arlene Blum, the annual Himalayan Fair continues to provide entertainment, food, crafts and other wares, education, altruistic support, and all-around fun. As usual, we will have a booth at the Fair, and Lama Kunga Rinpoche will be present (some of the time). Hours are Saturday, May 21st from about 10 am to 5 pm or later, and Sunday, May 22nd from 10 am to 5 pm. See http://www,himalayanfair.net/ for information about the Himalayan Fair. SEE YOU THERE !